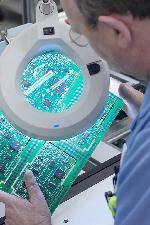 REPAIR: Our technical staff can diagnose, repair and test most of the IT and Network equipment including Servers, Boards and components. Our expertise is capable of minimizing your down time by fixing your unit and shipping it to you within 24-48 hours. MAINTENANCE: We offer a wide variety of maintenance programs, custom tailored service plans designed to meet your specific needs, including remote(Help-Desk) support and On-Site maintenance covering a full range of servers, workstations and storage solutions. Our certified engineers and technicians can set up your Network, IP Telephony Network and provide the Security Architecture with a comprehensive evaluation of the capabilities you have and recommendations to help your forthcoming network goals. We can recommend a strategy for maintaining, troubleshooting and planning for future network growth. *All product names throughout this catalog are trademarks of their respective holders.